This is the renowned transformational course which thousands have raved about… the course that started everything we do! If you believe that communication with Spirit is only available to a few exceptionally gifted and unusual people – please think again. 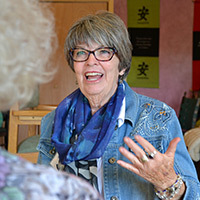 Fellowships of the Spirit believes it is the birthright of every human being to experience this connection, and this three-in-one weekend retreat will show you how and prove it to you! 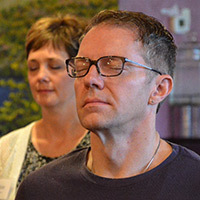 Learn ways of opening your heart to allow Divine love and healing to move through your body into other people, and experience the joy and satisfaction of being both an instrument and a receiver of spiritual healing. Learn a spiritually centered approach to unfolding and developing the abilities that you already have within you. Study the ways in which professional mediums work, and then discover your own inherent ability to give accurate spiritual readings! Even if you have never done anything like this before, this weekend course will show you how to recognize and trust the spiritual gifts that God has given you: gifts that will remain with you when you go home, and provide you with a solid foundation for continuing spiritual growth. *Tuition Includes instruction and meals ONLY. For information on local guest houses and hotels, visit our website or call 716-595-2159. 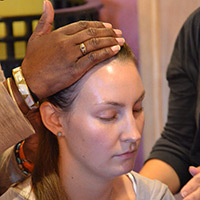 Completion of Spiritual Insight Training Parts I and II are prerequisites to being considered for entrance to the School of Spiritual Healing and Prophecy. 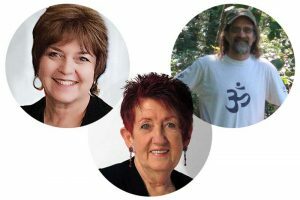 Click here for full list of all Spiritual Insight Training Seminars.